AMD or Advanced Micro Devices, is an American based semiconductor company located in Sunnyvale, California. They have produced processors, microsprocessors, motherboard chipsets, embedded processors, graphics processors for servers, personal computers, embedded system applications and workstations. AMD is second to Intel in global supply of microprocessors based on the current x86 architecture, and is now one of the largest suppliers of GPUs (thanks to their acquiring of ATI in 2006). AMD introduced the Vishera core name to its Piledriver microarchitecture back in 2014. Its based on the AM3+ socket. Piledriver is the second-generation successor to Bulldozer, and was developed to target the desktop, mobile and server markets. The changes introduced with Piledriver are small. Piledriver uses the same module design, but improves upon the branch prediction (a digital circuit that tries to guess which way a branch, or an if-then-else structure, will go before this is known for sure), and FPU/Integer scheduling. Along with those imporovements they switched to the hard-edge flip-flops to improve on the power consumption factor. This resulted in a clock speed gain of about 9% and an increase in perfromance of around 15% with similar power characteristics. Here today we are testing out the FX-8370 which falls right above the FX-8350 and below the FX-9370. The FX-8370 containts 4 modules, 8 Cores with a 4.0GHz frequency that can be boosted to a 4.2GHz frequency. This CPU has a 125W TDP rating and employs DDR3-1866 speed for memory and sits on an AM3+ socket for the 900 series motherboards. Is this worth to get for me? 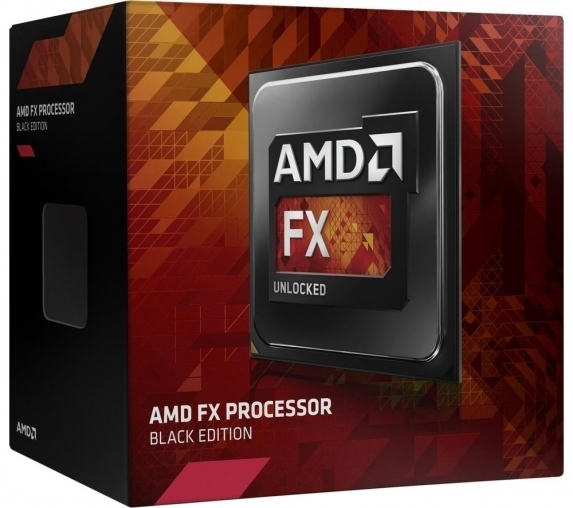 FX Series of Processors was developed for the performance/enthusiast level user. It carries its weight when it comes to Video Processing and gaming. The CPU is capable of up to 4.3GHz without manual overclocking, and as you will see further on in the review, we were able to squeeze out every last bit out of this CPU using all the usual modern suites that resulted in an outstanding benchmark. The enthusiast and savvy shopper in all of us will scream with joy if this CPU comes in your possession. The FX-8370 is a fantastic price/performance CPU that costs only $199.99 and competes with the i5-3570k which can run anywhere between $230 and $290. The difference between i5-3570k and our FX-8370 is simple, the i5 3570k’s power consumption is lower, while the FX-8370 is 8% faster in multi-threaded applications, and shows a performance increase of up to 36% in certain benchmarks. Although the FX-8370 seems like the better selection, do take this information with a grain of salt since benchmarks are tests and not real-world numbers. The i5 can perform better by about 11% in games and graphics tasks. The i5 comes with an integrated HD4000 GPU which won’t run Fallout 4, or Witcher 3, but it will allow for some casual gaming at lower graphics settings. Each CPU is good in its own field so read on to find out if the AMD is the right choice for you!